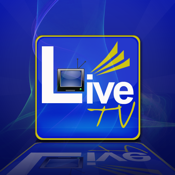 The BLW LiveTV is a mobile application that presents you with three satellite television stations: LoveWorld Plus, LoveWorld Sat, and LoveWorld TV live on your mobile device. With this app you have access to all programs aired by these stations, you can also set favourites for programs, post and share comment, and have access to most viewed programs on each station. Get the BLW Live Tv today and enjoy TV on the go! !